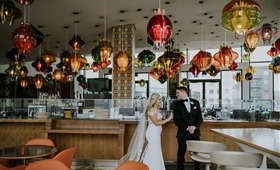 Jennifer and Steven, owners of Van Elk Photography, understand how special your wedding day is. Their photographs tell your story through art. Every picture matters. Every moment is precious. Don’t settle for less. 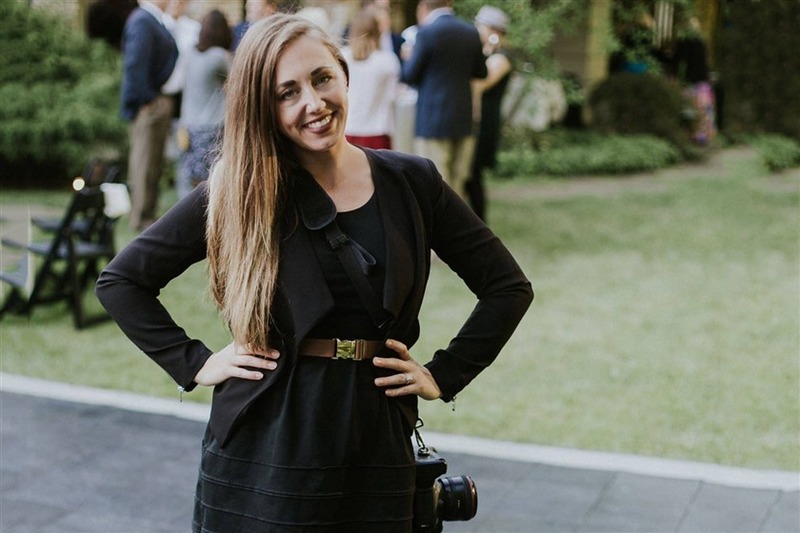 I'm Jennifer Van Elk and I've been a wedding photographer for almost a decade. I studied photography in college and started capturing professionally a little over a year after graduation. My husband, Steven, and I run the business, me as the lead photographer, and my husband as an associate. This isn't the same as a second shooter. Steven shoots his own weddings on many days I'm capturing my clients. We are very fortunate to both be passionate about photography and have fabulous couples to capture. Although I love the creative aspects of the job, like photography and editing, my favorite is getting to know our couples and customizing a plan that fits them best. I've always been interested in art, photography, and creative hobbies. Ever since I was in elementary it was one of the careers I want to pursue. I studied photography at the university level and thought I'd go into journalism. 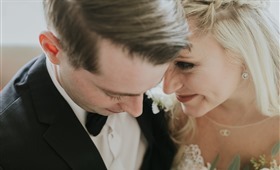 I stumbled into wedding photography because a woman had overheard my husband and I talking about photography. She gave me her daughters email and that's actually how I started shooting weddings. I shot both of her daughter's weddings and captured 14 other couples my first year. Although I love the creative aspects of the job, like photography and editing, my favorite is getting to know our couples and customizing a plan that fits them best. I really love planning but I quickly found that event planning isn't my forte, I have a lot of respect for those who can do it for a career. Wedding photography gives me a great balance of planning and creative work which I love. My style is fine art and photojournalistic. My style is fine art and photojournalistic. I tend to be inspired by travel & fashion photography, the baroque art period, and artistic movies. Some say that my work is a bit on the "moodier" side, but I'm very open to capturing brighter as well. I edit true to colors, which kind of strays me away from any type of "style". I do what I think will make the photos look the best. You never realize how important photos are until your family grows or you lose a loved one. No one has ever regretted having great wedding photography. Other than being the one thing you pay for that you get to take home, it's one of the greatest ways to show your family was founded on love. You never realize how important photos are until your family grows or you lose a loved one. Just like any product you pay for the range is wide, but you get what you pay for. No one comes out of the woodwork charging $5k for photography. Photographers charge what they believe they are worth in their area. Wedding photography is 50% photos and 50% service. Unfortunately, that's a hard thing to compare until you are working with a photographer, but you might ask why one is so much more than another and it's more than likely because their service is impeccable. Not only does service impact your wedding day, but it will also impact your feelings about the photos themselves. You should see photos from every scenario: dark venue, rainy day, etc. Beware of "natural light" photographers if your wedding is indoors and heading into the night time. Make sure your photographer is skilled with light when the sun is down. 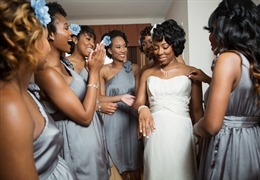 Ask other vendors what they think about the photographer you are considering. Be sure that the reviews match what they've promised and don't be afraid to ask about why there was a bad review, it could have been completely out of their control. Remember that many people can take a few great pictures and put them on Instagram, so seeing a full wedding will help set expectations for your own gallery. What is the role of a photographer at a wedding? Your photographer's role should be to take photos. 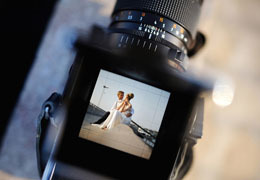 Before the wedding, the photographer will let the planner know how much time he/she will need for the photos or send over an estimated itinerary. Not everyone can afford a planner and many times your photographer will take over this role for the day. This will make it so that your photographer is taking time away from photography to do a second job. If you are able to have a close friend delegate or hire a planner, this will help the photographer create the best gallery possible. 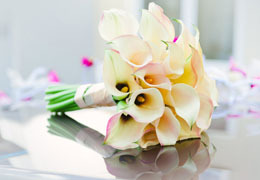 Each wedding is different but we are on our feet all day capturing every little detail, portrait, and emotion we can. It's a lot harder than it looks to get great candids so we always have to be alert. Honestly, I'm in my inbox 50% of the process, so the planning always takes the most energy, but the day of the wedding, it's probably wedding party photos. 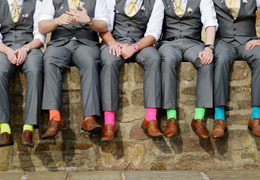 Each wedding is different but we are on our feet all day capturing every little detail, portrait, and emotion we can. It's a lot harder than it looks to get great candids so we always have to be alert. It's hard to pick just one every wedding is different. Hire a day of coordinator. This will be one of the best decisions you'll make for your day. Warn us if you think a particular family member will be difficult. The heads up are always nice. If you are going to let your wedding party drink, please have a first look. Drunk wedding party photos are like herding cats. This is the last one, please feed us. Some of us are shooting 30 weddings a year, 8-10 hours a day, if we don't get to eat, that is a full month of the year we aren't getting any food. This will also give us the energy to finish out the day beautifully! Either way, we push to provide the best service and gallery possible, no matter the situation. I've been very fortunate to have wonderful couples! From day one it was important for me to fill my schedule with people I wanted to spend time with when I was away from my family. If the first meeting didn't go well, I knew they weren't the couple for me. My couples tend to love photography and might have a few ideas but ultimately trust what I do (If you can't trust your photographer, maybe they aren't the right person for you). Now, we've had issues with overbearing relatives, and only one time did I consider bringing the bride and groom into the situation, but this comes with the territory. 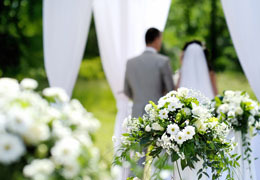 In most cases, the relatives just want what's best for the bride and groom. If for any reason they are just being difficult to be difficult, we typically remove ourselves from the situation. Thankfully, out of the hundreds of weddings we've shot, we can count on our hand the ones that were less than ideal. Either way, we push to provide the best service and gallery possible, no matter the situation. 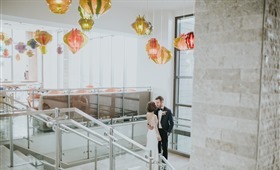 Learn more about Jennifer Van Elk Photography and see what they have to offer!